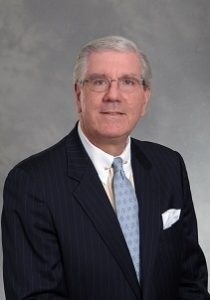 Peter H. Havens, Chairman, founded Baldwin Management, LLC in 1999 after being a member of the board of directors and Executive Vice President of The Bryn Mawr Trust Company. Previously, he organized and operated the family office of Kewanee Enterprises. He received a bachelor’s degree from Harvard College and an MBA from Columbia Business School. “The first one is Constellation Brands (NYSE:STZ). They’re one of the largest beverage companies in the world. Most people would know them for their beer brands. They are the exclusive importer of Modelo and Corona, two very popular Mexican brands they bring into the United States. They also have a wine business, which ranges from very inexpensive wines to some rather expensive wines. And most recently, what has set them apart from the typical beverage business is they made a major investment in a company called Canopy Growth (NYSE:CGC), which is one of the largest of the marijuana growers in the world. They invested $4 billion in that to take a significant minority interest in the company with the right to expand, to take control of the company over the next few years. To get all the rest of Peter Haven’s portfolio picks, read the entire 3,215 word interview in the Wall Street Transcript.